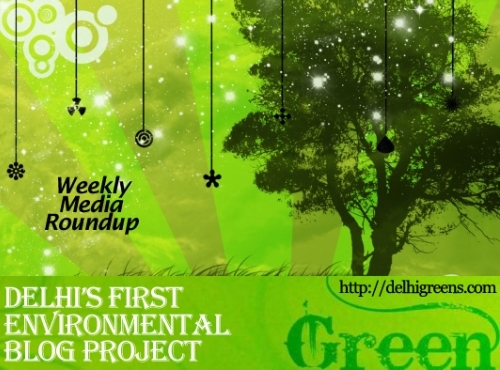 Weekly green news update from across different media networks for week 26 (between June 27 to July 03) 2016. 1. DU’s paperless initiative saved 4,500 trees, money, resources Delhi University not only saved its aspirants from the scorching heat, but also around 4,500 trees or nearly 72,000 rims of paper through its online registration process for undergraduate admission 2016-17, held over 22 days. 2. Locals’ Plea To Dial Down IGIA Noise Goes Unheeded Despite the directive from National Green Tribunal to initiate steps to curb noise pollution in residential areas near airports so that people are not disturbed, Delhi International Airport Ltd has not done anything to that effect even almost a decade after taking over the operations of the Indira Gandhi International Airport. 3.